Get ready to make practicing and playing with alphabet letters FUN! 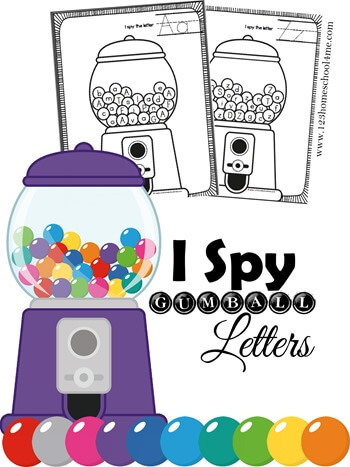 Kids will practice identifying upper and lower case letters in these FREE I Spy Gumball Letters. It even includes optional cut and paste gumballs for even more fun for Toddler, Preschool, and Kindergarten age kids. 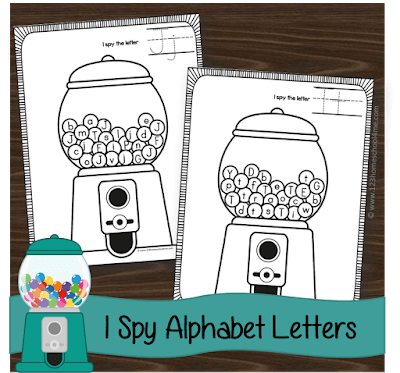 These FREE I Spy Gumball Letters are such fun, simple alphabet practice worksheets that kids are going to LOVE! Print the worksheet for the letter (s) you are working on. Kids will be delighted to practice their ABCs with these fun, colorful letter find worksheets. These are such a fun letter find type worksheet with a fun twist. 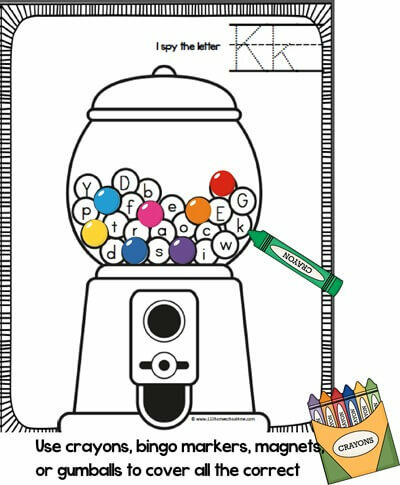 The last page contains upper and lower case gumballs for children to cut and paste on the correct letter worksheet. Graphics Purchased and used with permission from Zip-a-Dee-Doo-Day Designs.